On our lunch break at uni, we decided to go Yoyogi to eat some Japanese! Yoyogi is very casual; I would say it is a cross between a Japanese fast food store and a restaurant. You would probably go there if you are looking for a quick Japanese feed. The staff are nice and cheerful (always smiling! ), and also pretty thorough with our order, repeating it and making sure it is correct. However they are a bit timid and speak fairly quietly. The restaurant itself is quite small and narrow, but apparently there is an upstairs where it is less crowded and loud (we didn’t check it out though). There wasn’t much decoration besides these lanterns which is a bummer! 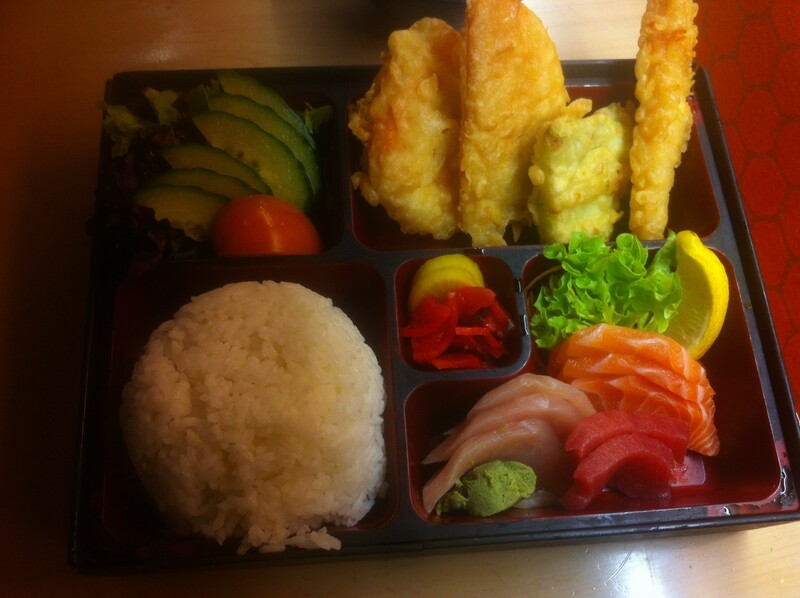 Sashimi Bento ($15.80) – I found this bento pretty ordinary, and therefore overpriced. The salad was drenched in dressing (I think it was balsamic vinegar) so it ruined the freshness of the vegetables. I would have much preferred it without the dressing. The tempura was pretty good; the batter was nice and I really enjoy sweet potato and pumpkin tempura so couldn’t go wrong there! A minor criticism I have is that it was a bit plain, perhaps a sauce (mayonnaise?) or seasoning would’ve added more flavour. The sashimi was not fresh and smooth; it was very dry and tasted like it’s been out on display since morning. 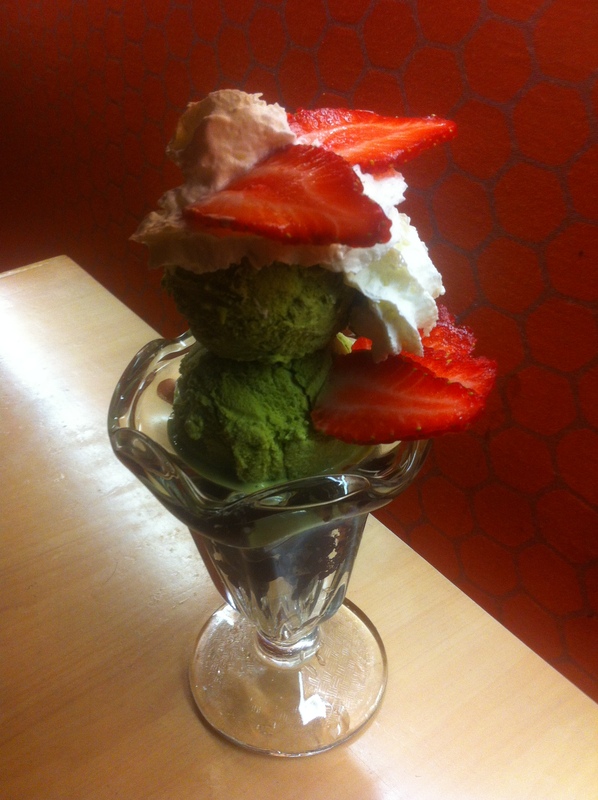 Green Tea Ice Cream ($5.80) – this is your standard green tea ice-cream with red bean topped with whipped cream and strawberries. Great combination, I can always trust a dessert with green tea ice cream and red bean to taste delicious. 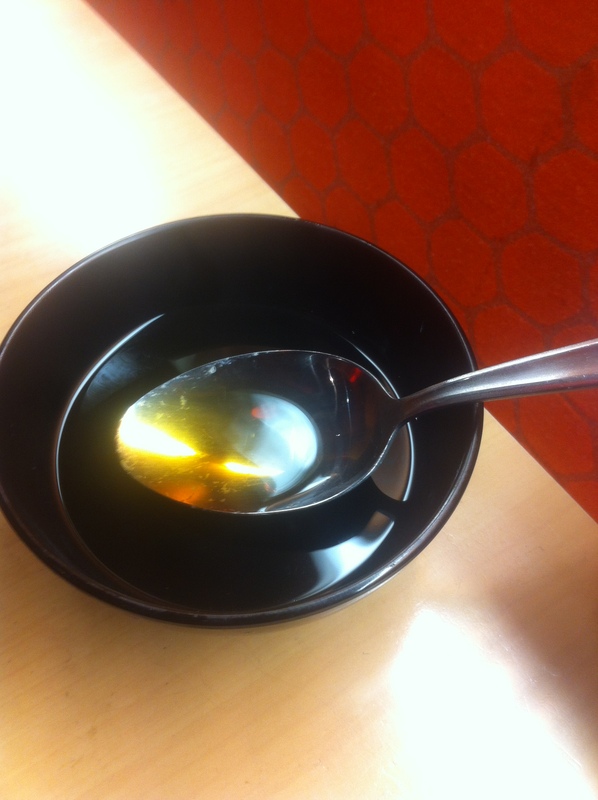 However, it was difficult to scoop my food, especially trying to dig into the red bean which was deep at the bottom. Watch out for the next post, coming in 5 minutes! The sashimi bento looks very mediocre, doesn’t it? 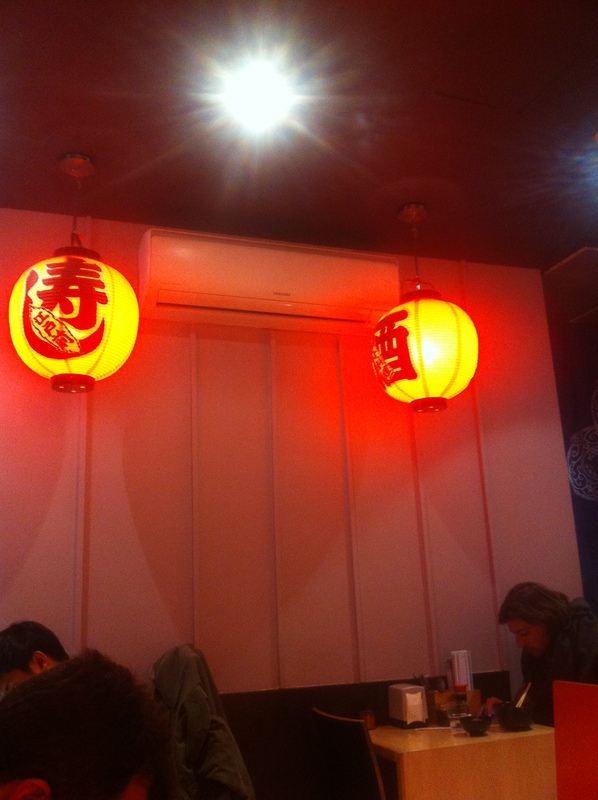 Can I recommend Sushi Hotaru which is a sushi train in the city that only charges $3 per plate? yes it was very mediocre! 😦 thanks newintstudents, i’ll definitely write it down and check it out! !